When it comes to organic certification, there are strict guidelines for food producers to follow. Think about an organic steak. The cow it came from has to be raised on organic feed. The feed mix can’t be produced with pesticides, chemical fertilizers or genetic engineering. Now, the U.S. Department of Agriculture in considering a set of rules for organic farmed fish. The problem is several consumer groups say the recommended rules don’t go far enough to meet the strict standards of other organic foods. “This National Organic Standards Board worked for a period of years and put together a series of recommendations on organic aquaculture,” said Miles Mcevoy, the deputy administrator of the USDA’s National Organic Program. The recommended standards suggest guidelines for how fish can be grown organically in pens in the ocean and how much wild caught fish can be used as protein in fish feed. “What the national organic standards board recommended was that there would be some allowance for non-organic fish feed that would be phased out after a 12-year period of time,” he said. Troutdale farmhand Vince Orcutt pulls out rainbow trout ready to harvest in Gravois Mills, Mo. Lisa Bunin, the organic policy director at the Center for Food Safety, disagrees. She says the diet is important. “It’s not 100 percent organic and organic requires all animals to have an organic diet,” she said. Bunin is also concerned about raising farmed fish in the ocean. That’s because farmers can’t control what toxins the fish are exposed to and the fish farms could be a source of pollution. “The particles from these facilities eventually settle on the ocean floor and can dramatically alter the oxygen and reduce the population of bottom-dwelling animals,” she said. 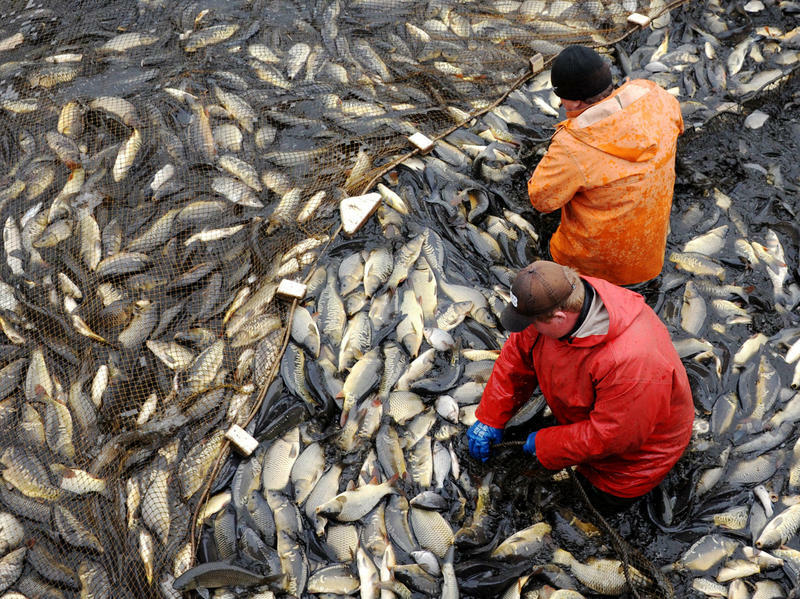 Diseases can be passed between populations of wild and farmed fish. Consumer groups like Food and Water Watch and the Consumers Union agree with Bunin. Troutdale Farm sits at the end of a dirt road near the edge of Missouri’s Lake of the Ozarks. An upwelling spring feeds about a dozen cement raceways filled with rainbow trout. Workers use nets to pull out basketfuls of fully grown fish. Can Farmed Fish Feed The World Without Destroying The Environment? We Americans love our fried shrimp, our sushi and our fish sticks. And a lot of other people around the world count on fish as a critical part of their diet, too. According to the Food and Agriculture Organization, fish now accounts for almost 17 percent of the world's intake of protein — in some coastal and island countries it's as high as 70 percent. 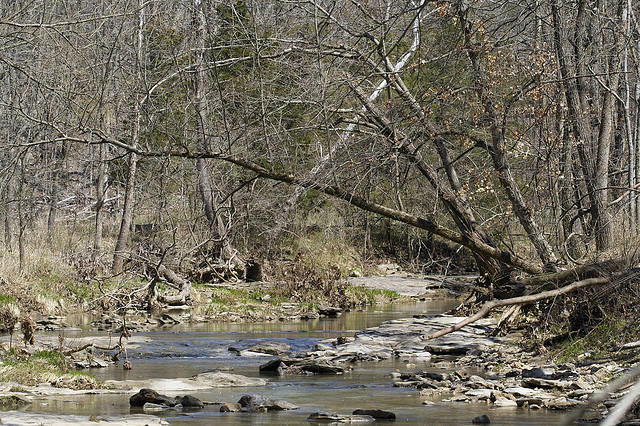 Conservation officials are still trying to determine what killed an estimated 14,000 fish in a central Missouri creek.